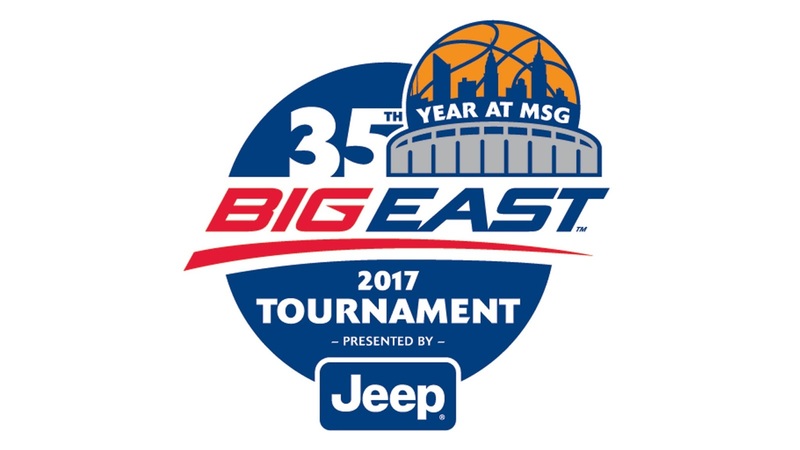 The second week of March means the tradition and pageantry of the Big East Tournament at Madison Square Garden for the 35th consecutive year. Players like Chris Mullin, Patrick Ewing, Ray Allen, Allen Iverson and Kemba Walker have made names for themselves over the years on the biggest stage in basketball. The Butler Bulldogs were in transition this season with their top two scorers gone to graduation in Kellen Dunham and Roosevelt Jones, but have used a combination of players to make up for the loss, highlighted by Kamar Baldwin. Baldwin was named to the Big East All-Freshman Team on March 5 after finishing the regular season with a team-high 1.7 steals per game and Butler coach Chris Holtmann praised the accomplishments in Monday’s Big East teleconference. “Kamar has been as instrumental in our success as any other freshman has been in the country for his team,” Holtmann said. UNC-Asheville transfer Andrew Rowsey’s addition has paid dividends for the Marquette Golden Eagles this season. Rowsey led the Big East and is second in the country in the free-throw percentage department at 94.3 percent. Marquette coach Steve Wojciechowski praised the league’s sixth man of the year. “As the year has gone on, (Andrew) has continued to get better and that’s helped our team improve,” Wojciechowski said. On a team loaded with shooters like Rowsey, Markus Howard and Sam Hauser, the straw who stirs the drink happens to be Katin Reinhardt. Marquette’s run to 10 wins in Big East play for the first time since the 2012-13 season has been in part to Reinhardt’s sharp-shooting off the bench. The Golden Eagles are likely to return to the NCAA Tournament for the first time since that campaign and Reinhardt’s experience on the big stage at UNLV and USC over the previous four seasons have played a big part. “Katin has been a huge part of our season as his addition to our program has been a big one as he is a guy who has had experience in the postseason at his previous stops,” Wojo said. In a season where the Villanova Wildcats have played six or seven-man rotations on most nights, Donte DiVincenzo has embraced the challenge off the bench from coach Jay Wright. Named to the Big-East All-Freshman team on March 5, DiVincenzo’s 25 minutes per game have proven to be valuable, despite some hardship in a 74-72 loss at Marquette on Jan. 24. “(Donte) is a great example of taking advantage of an opportunity,” Wright said. Do not be surprised to see one or more of these players named to the All-Tournament team on Saturday night.